Ashton Agar celebrates after taking the wicket of Indian captain Virat Kohli during the third ODI at the Holkar Stadium in Indore on September 24, 2017. 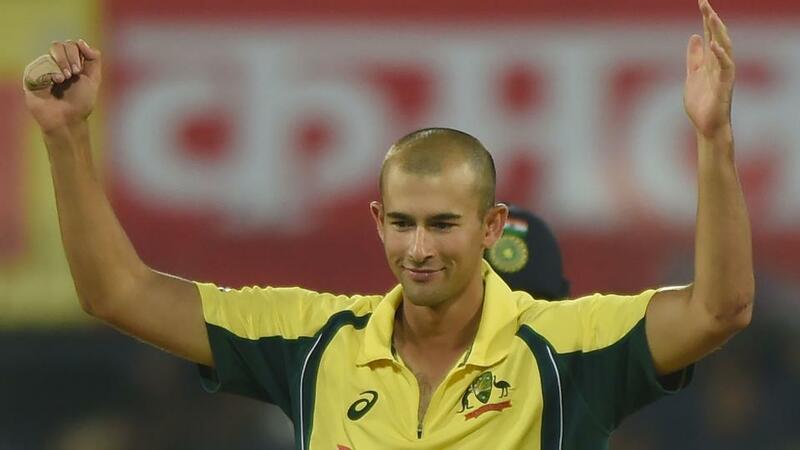 Cricket Australia has confirmed on Monday that Ashton Agar will return home. Australian cricket team doctor Richard Saw said: “Ashton injured his right little finger whilst fielding in the match last night.